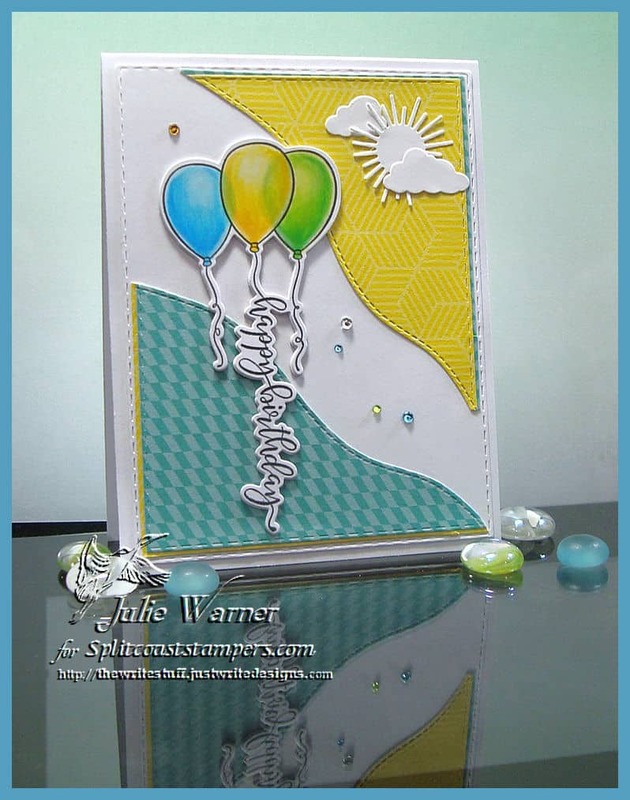 A big congrats to Sally, the newest Featured Stamper (FS627) on Splitcoast! 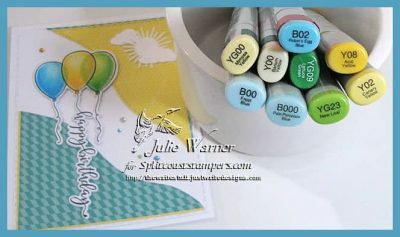 She has a fun, colorful gallery & after much browsing, I chose THIS to case. 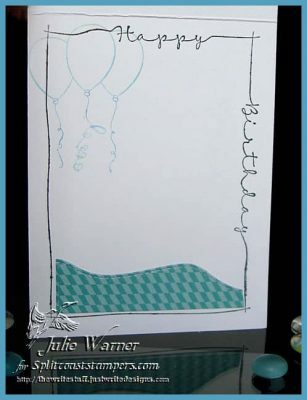 I liked the balloons so I kept those, but I used different images & dies, different colors & a little different layout. 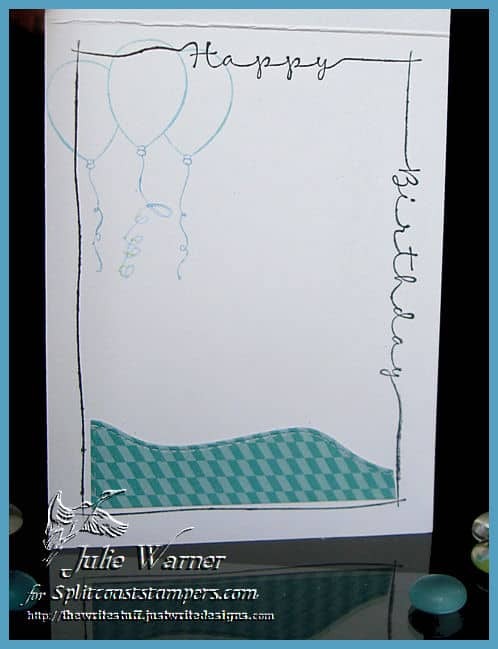 My card is pretty easy…I colored & die cut the balloons w/ the matching die & used a stitched hills die to cut some leftover pieces of patterned paper for the opposing corners. 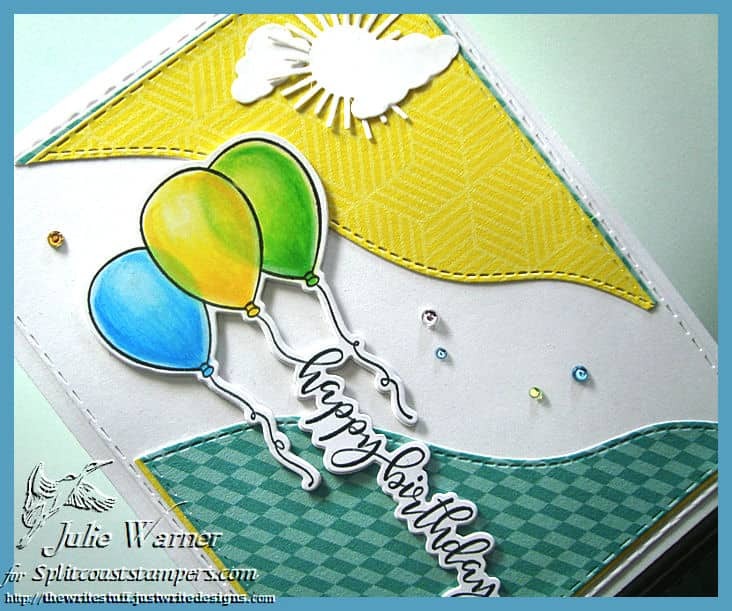 I though it needed a little something, so I added a sun (made from a flower die), a couple of clouds & a few crystals. Lovely design. The separation of the two colours in intriguing.Nice touch to add sun and clouds. What a nice card you have there. Is it for sale?